Over 150 bus workers marched in central London on Thursday of last week in protest at unequal pay and conditions. 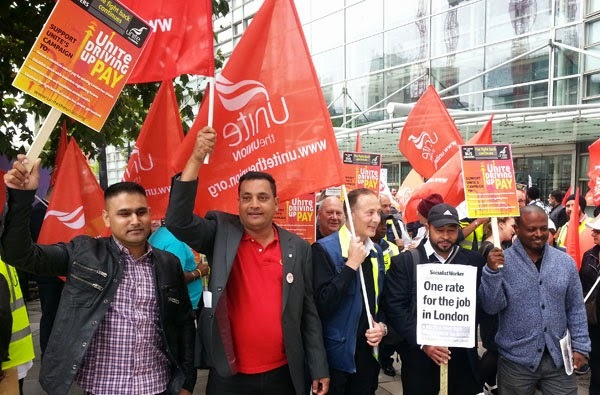 The Unite union, which represents the workers, is demanding joint negotiations with over a dozen companies over conditions in London’s bus garages. Since privatisation in the mid-1990s London bus workers have seen their conditions attacked. Intense competition for lucrative routes has boosted profits and slashed workers’ pay. A driver from Lea Interchange was clear what needs to happen, telling Socialist Worker, “We need to strike—the bosses have to know we mean business.” United action can win. In 2012 solid strikes forced bosses to pay a £500 bonus for working during the Olympics. However many believed more could have been won. If Transport for London can force all companies to introduce cashless payments they, and company bosses, can be forced to negotiate one rate for the job across the capital.